Facebook is the biggest social network site in the world. Various of applications or games are found on Facebook. Do not miss are also many links scattered on Facebook. Various links scattered Facebook news feed some need to be wary of. In its report, security vendor CheckPoint stated many of those links that contains a virus. According to their research, as much as 20% of the overall link directs users to open the virus. Checkpoint also reveal a variety of other data about security vulnerabilities in social networking sites in the world's largest. 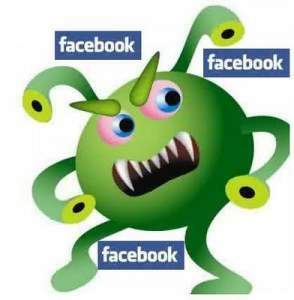 As many as 4 million Facebook users receive spam messages every day. Then 600 thousand logs in contact with other people hacked or hijacked. The amount was only 0.06% of all logging in, but still a number is not small. To secure your account, Facebook users are advised to do some of these tips.